Dandruff is one of the major reasons why there are a lot of new companies trying their hands on in the cosmetic industry from this field. From trying various beard dandruff shampoo to beard products, they end up damaging their beard skin. 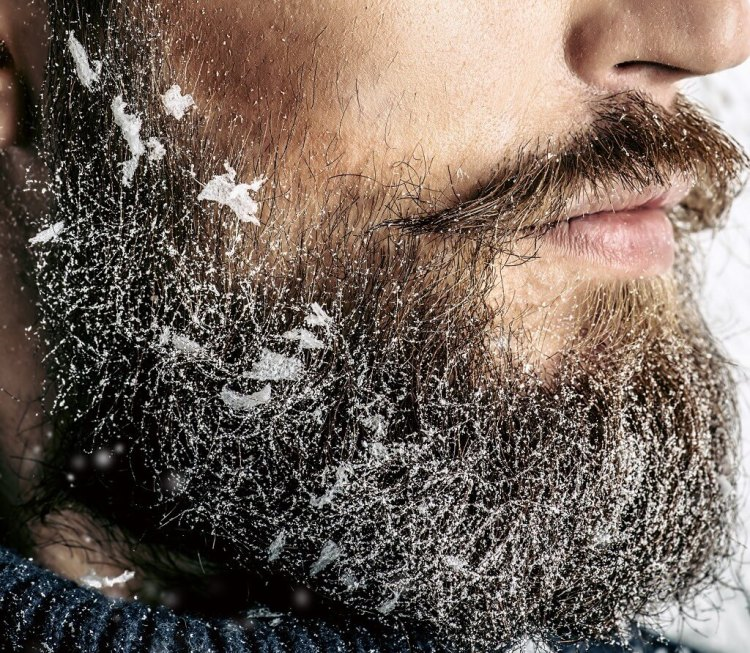 In today’s blog, let’s talk about how to cure beard dandruff for once and for all. For starters, dandruff is a flaky substance which comes out from your skin. This flaky substance is also known as dead skin for some and in layman’s language, it’s known as dandruff or seborrheic dermatitis scalp. People who have dreams of keeping a big beard like Parmish Verma’s beard, they simply fail to do so. There are basically two known causes of beard dandruff or seborrheic dermatitis scalp – fungal infection and dry skin. People can have dry skin from various reasons like using an ordinary soap on your face or taking a bath from excessively hot water. Your skin has some oils present in it. When you use normal soaps on your face, you end up removing all the essential facial oils. Thus, you face beard dandruff issues. The other reason for beard dandruff is fungal infection. There are yeast compounds present on your skin which need a colder atmosphere to breed. So when you go under sunlight, the yeast tries to enter your skin to evade the heat. So, when you get beard on your face, the yeast tries to hide under your beard shade. In such a way, it gets deeper under your facial skin and it causes damage. Dandruff can be one of the most embarrassing problems for you. That white powdery stuff on your black hair can be easily visible from a distance. More than that, it can be very irritating. In order to find ways to cure beard dandruff, people end up scratching their face thinking that their dandruff is removing. But, they’re wrong. Let’s find out some of the best ways to cure beard dandruff without any costly beard dandruff shampoo or beard dandruff products. 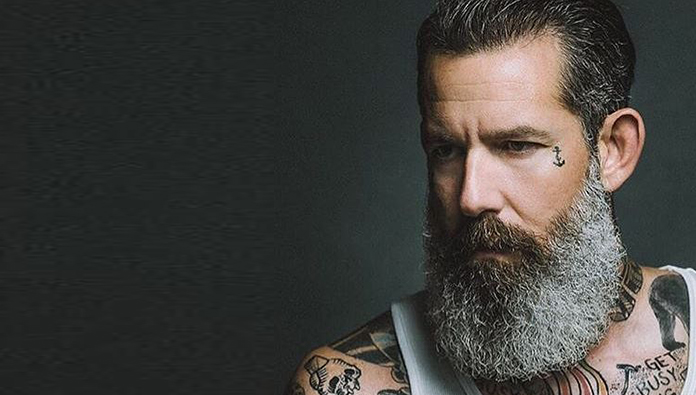 Now, beard dandruff is a phenomenon which can be cured easily, once we get to know why it’s there. So, for the Indian audience, who knows if they have beard dandruff, then they might sometimes think of using their ordinary shampoo as a beard dandruff shampoo. This is not a good move! Your normal shampoo isn’t the best beard shampoo for you. Remember, that your skin is different on your face and on your head. When you’re facing beard dandruff issues or dry beard, you must visit a dermatologist to get the best beard dandruff shampoo for yourself. Hence, shampooing your beard is one of the best ways to cure beard dandruff. Pro tip: Don’t use beard shampoo every day. 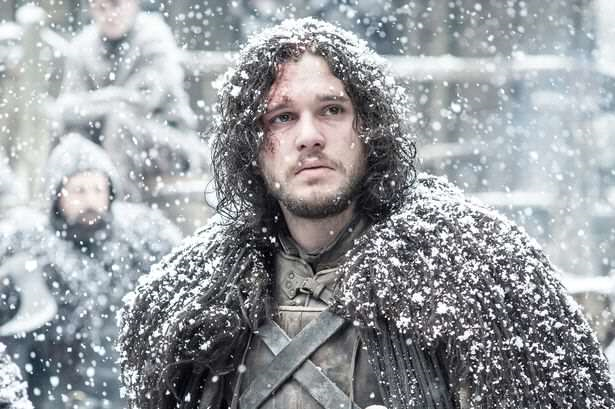 Use beard dandruff products occasionally. Conditioning your beard is a very important part for those who have dry facial skin. But, sadly most people ignore conditioning their beard. If we go back in our childhood days, our mothers used to massage us with baby oils. Why she used to massage us with oils was to condition and nurture our body and skin. This is exactly the same reason why we recommend you to condition your beard. You can use any mineral oil free beard oil for your beard to condition it. This is also one of the best ways to cure beard dandruff. Now, seborrheic dermatitis scalp isn’t a good thing to have, so, it’s better if you take out at least 5 minutes from your life and dedicate some time to your beard hair as well. Beard hair has its own sort of responsibility in itself. Combing your beard hair plays an important role. 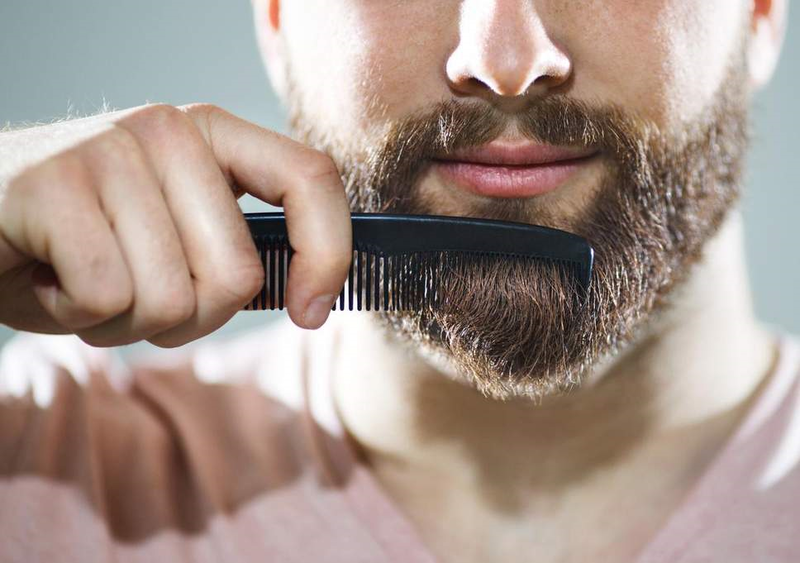 Just like you comb your hair on your head every day, you should comb your beard hair as well to keep them untangled. 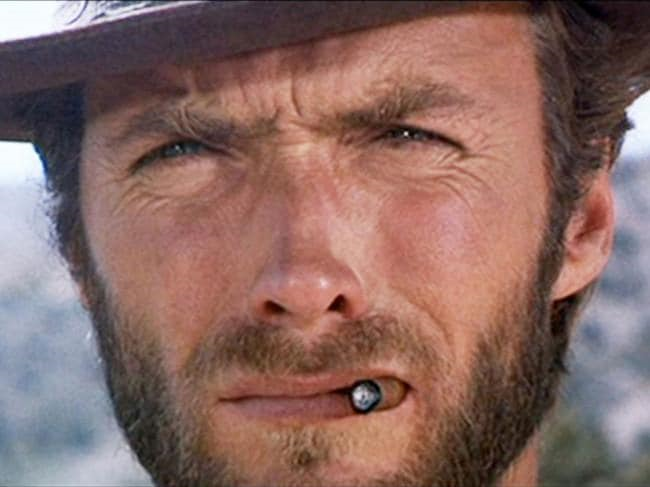 Now, merely brushing or combing your beard isn’t everything. You need to choose a separate beard brush or beard comb. You should not comb your beard with the same comb with which you comb your head hair. So, combing your hair plays an important role. This is a very simple way which you can use and it takes not much efforts. Also, combing your beard is excellent for styling your beard on some special occasions. And thus, we consider it as a good way to cure beard dandruff. Now, this may seem to be going in an off direction, but choosing to change your lifestyle plays an important role to cure beard dandruff. Many people these days are suffering from anxieties and depression. These mental problems have severe impact on their body. Hair is one of those things which show the signs of depression and anxiety. People get bald or they see their hair thinning. This is the reason why we tell you to change your lifestyle. Well, dear bearded men, you need to understand that your beard not only needs nourishment, but also needs you to be happy so that it can show its full stretch to you. 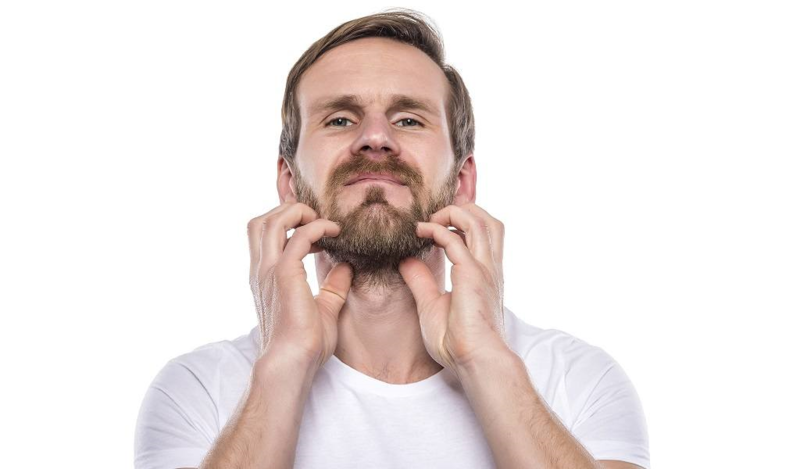 No matter how many beard dandruff products you use, but if you have such problems, you will end up losing your beard hair and problems such as beard dandruff or seborrheic dermatitis scalp may arise. Now that you’ve known all the best ways to cure beard dandruff, do let us know which way did you like the most! Don’t forget to turn our post notifications on or Bookmark our website for our future updates! This Beauty Trick Will Straighten And Soften Your Hair 10 Times More Than A Conditioner!! 6 Things That Can Give You The Glow Of Facial Without Spending Money! !